Tonight the sunset was absolutely incredible. Orange and red, intermixed and zig-zagged across the sky, I literally gasped and then just shook my head in amazement. The last several days I have been struck with just this fresh amazement that I am in Africa. It doesn't really ever get old that I am living in AFRICA! Amazing. I mean who would have thought, even five years ago, that I would be living in Zambia. I don't think I ever even thought of Zambia or knew where it was before 2006. It was less than three years ago while leading a short term mission trip for about 20 high school students in Mexico, my wife and I heard a call for the need for missionaries and said, "We'll go!" And from that point forward, through lots of trials and doubts and fears and exhausting days we raised support, went through training, talked with churches, went to Zambia, came back and now here we are, again. People sometimes ask, "How did you end up in Zambia?" The short answer is God. The long answer is once we said we'll go, it was like, "O.K., where?" Through prayer, thinking through my skill set, food allergies and hearing impairment, plus deciphering what gifts God had given us and where our heart were tugging us, we eliminated a lot of places and then quickly narrowed the list down to Africa. From there, we contacted agencies in Africa and we looked at maybe running an orphange in Kenya. 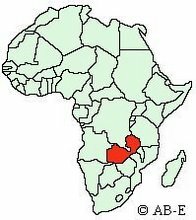 When we talked with someone from Action Zambia about helping us in Kenya with an orphanage, he gave us their philosophy on building up the local church and training pastors and it was like, "That's it! That is exactly what we should do." The process for us was really quick but it is not like that for all people. Overally, it has been a really hard three years. The spiritual battle is intense, the sacrifices have been high (not just for us, but also for our parents and family) and the struggle is constant. You feel like an outsider, you continually wear a burden of poverty and disease on your back and chaos just becomes normal. I won't lie. Every day is a challenge. But, when I see the growth of our family, when I connect with a Zambian, when I hear my girls pray and see ministry first hand, when I can tell a pastor gets it by the gleam in his eye, I can say without a doubt, it is worth it. I am confident that we are supposed to be here and that makes all the difference. God - I like this explanation of why you got into missions. And the fact that you also talk about the struggles you've been facing but also the joy of knowing that you're in God's will. I'm a friend of Calin, and have been reading your blog now and then. I enjoy doing that.